Membrane proteins are essential vessels for cell communication both with other cells and noncellular structures. They modulate environment responses and mediate a myriad of biological processes. Dimerization and multimerization processes have been shown to further increase the already high specificity of these processes. Due to their central role in various cell and organism functions, these multimers are often associated with health conditions, such as Alzheimer’s disease (AD), Parkinson’s disease (PD), and diabetes, among others. Understanding the membrane protein dimers’ interface takes advantage of the specificity of the structure, for which we must pinpoint the most relevant interfacial residues, since they are extremely likely to be crucial for complex formation. Here, we describe step by step our own in silico protocol to characterize these residues, making use of known experimental structures. We detail the computational pipeline from data acquisition and pre-processing to feature extraction. 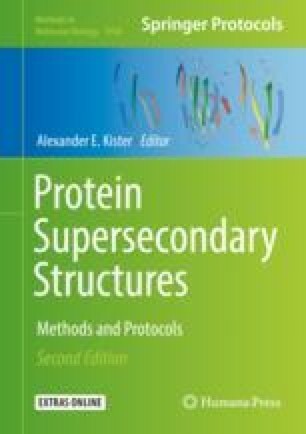 A molecular dynamics simulation protocol to further study membrane dimer proteins and their interfaces is also illustrated. António J. Preto and Pedro Matos-Filipe contributed equally with all other contributors. Irina S. Moreira acknowledges support by the Fundação para a Ciência e a Tecnologia (FCT) Investigator programme—IF/00578/2014 (co-financed by European Social Fund and Programa Operacional Potencial Humano). This work was also financed by the European Regional Development Fund (ERDF), through the Centro 2020 Regional Operational Programme under project CENTRO-01-0145-FEDER-000008: BrainHealth 2020. We also acknowledge the grants POCI-01-0145-FEDER-031356 and PTDC/QUI-OUT/32243/2017 financed by national funds through the FCT/MCTES and co-financed by the European Regional Development Fund (ERDF), namely, under the following frameworks: “Projetos de Desenvolvimento e Implementação de Infraestruturas de Investigaçãoinseridas no RNIE”; “Programa Operacional Competitividade e Internacionalização—POCI”; “Programa Operacional Centro2020”; and/or State Budget.